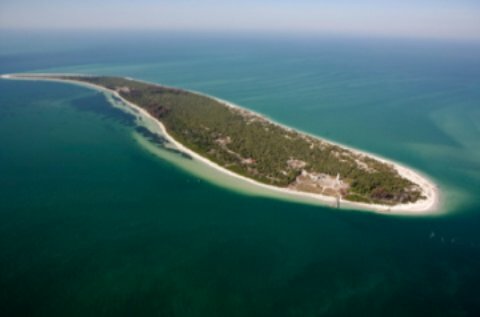 So, just where is Egmont Key State Park? Egmont Key is patiently waiting for you on the central west region of Florida on the Gulf of Mexico at the mouth of Tampa Bay. and this is how it looks from the sky. There are several historic sites and trails, including the remnants of Fort Dade, which stood during the Spanish American War. The park acts as an incredible wildlife refuge that provides solitude in natural beauty to all that travel here. The park has been only accessible by private boat but there maybe be a ferry operating at this time. 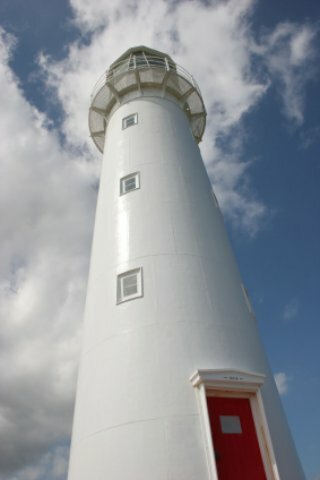 Egmont Key is home to this lighthouse. in the United States and has been standing since 1858. There are ample opportunities on the island to collect shells, see a lot of animal and plant wildlife, picnic and collect shells. Basically, the park serves as an excellent educational experience and a relaxing one. Visitors can explore the interesting island at a leisurely and carefree pace. If you’re interested in war history and the natural beauty of Florida, visiting Egmont Key is a great idea for you and the whole family. As long as you are in the neighborhood, check out St Pete Beach and the city by the sea. Good fun and good food. What to Do: The city of Dunedin, where the park is located offers a few other great parks as well. This is a popular destination at the mouth of the Tampa Bay that has many great beaching and nature activities. If you enjoy art, another great place to check out is Painted Fish Gallery where you can see and purchase a lot of incredible art in all price ranges. Where to Eat: There are no restaurants on the island but you can bring your own picnic lunch. The city of Dunedin offers many excellent restaurant choices though, such as Walt’s Seasonal Cuisine which serves sensational fish and seafood dishes as well as other American cuisines. Where to Stay: Enjoy a night or two in the Best Western Yacht Harbor Inn and Suites for a secluded and comfortable stay with a gorgeous view of the water.